Fall always seems to be the best time for me check my car’s battery. You might want to also, if you don’t want to get stuck somewhere without a good battery. This is especially true for folks driving through not-so-safe neighborhoods now that it is getting dark much earlier, or up north in our cold Winters. Most auto parts stores will check it for free. For about a week our 1998 Windstar Van’s battery was showing signs of weakness. Finally yesterday, the battery went out- it just didn’t quite have enough juice to start it without a jump start. After my wife checked Quicken, we determined that we bought the previous battery from Auto Zone 5 years ago. We quickly ruled out that we did not have any warranty left after that long, on a 60 month battery. While I called for prices of batteries from Auto Zone, O’Reilly’s and Advanced Auto Parts- chain part stores in our area, she went through the inventory of coupons. The only one she found actually came in the mail the same day, $20 off purchases of $100 or more at Advanced Auto Parts. Since the Van is 14 years old, and over 150,000 miles on it, I just wanted the lowest cost battery. 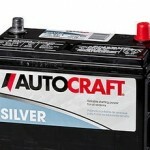 Calling Auto Zone, O’Reilly and Advanced the base battery was rated for 60 months but had a 2 year warranty. O’Reilly and Auto Zone tied at 99.99, and Advanced was $101.99. For a couple of bucks, I bought battery terminal grease and terminal fabric washers- both to help minimize corrosion you sometimes get since the batteries have highly corrosive sulfuric acid. After taxes, those extras and the $20 off coupon, my bill came to $90.34. That cost included a $12 credit for giving my battery to Advanced to recycle. Had I not traded in the battery, what they call the battery’s ‘core,’ then the cost would have been $12 more. They call it the core, since the core part of the battery that is recycled is the battery’s lead core. The plastic and liquid chemicals are probably recycled too, but lead has commercial value. You can get $10 – $15 for most batteries, so if you have any old batteries laying around the garage from cars, lawn mowers, boats, RV’s or other equipment you can sell them for cash. 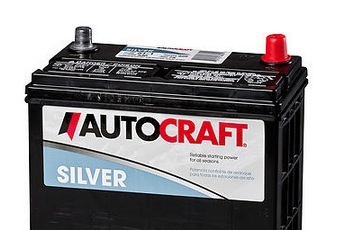 Advanced Auto Parts will only give you $5 gift card for old ones, but the local Interstate Battery store gave me $12 last Spring for an old big Marine battery I had for a sump pump back-up system- shop around. I was a little surprised by the battery’s cost. Gone are the days I remember when you could purchase a battery for $35 – $75 for most cars, now almost all decent batteries cost near or over $100. Low-cost or cheap batteries are a thing of the past. The manager of the Advanced Auto Parts, Brent was very polite, and installed it for free in the company’s parking lot. He tested the old and new battery to make sure one was bad and the new one was good, since they sometimes come from the factory bad. I didn’t have to get my hands dirty, or fumble around popping in a new battery in the dark. While you are checking your battery, you might want to also check the windshield washer fluid and wipers.